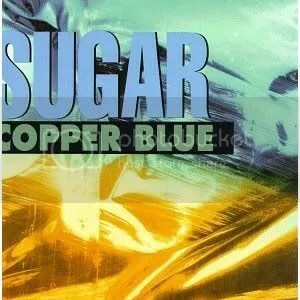 When Copper Blue came out it was rated “Best Album 1992” by the NME and bands like Nirvana, Pixies and The Smashing Pumpkins were also very popular, so I got this album and remember being blown away by the feast of guitars that exploded from the speakers. This album proved that heavy rock music could also be melodic and is one of those rare albums where all the songs still sound as great now as they did when it first came out, my favourite tracks are Hoover Dam, The Act We Act, Changes and If I can’t change your mind. Best known as a dance music DJ and former member of electronic/techno band Underworld Darren Emerson was born 30 April 1971, in Hornchurch. He began mixing Hip-Hop records at the age of 14, and by 16 was DJing regularly at local venues. He began to explore House Music and quickly acquired a reputation as one of the top British DJs, and demand for his services saw him playing at top clubs such as The Milk Bar, Limelights, and Venus. Darren has garnered several accolades such as “DJ of the Month” in The Face magazine, and also i-D magazine. Darren parted ways with Underworld in 2000 and then concentrated more on his solo career as a DJ and remixer, and also a label owner. “Global Underground: Uruguay” (2000) and “Global Underground: Singapore” (2001) soon followed on the Global Underground label. He continued to release tracks by himself and new artists on the Underwater records label and eventually gained its own night at super club Pacha, Ibiza alongside fellow DJ Erick Morillo, to hold a joint Underwater/Subliminal Records night. During its second summer at Pacha, his Underwater Records night won ‘House Event’ of the summer at the DJ Magazine awards. After its success, Darren Emerson decided to host its own full night at Pacha, Ibiza which has gone on to become an extremely popular night on the island. Lately Emerson has been busy touring the world whilst preparing for his own solo debut album. He rarely plays in the UK apart from his previous bi-monthly resident slot at London club The End ( which closed down in January 2009). In 2007 he performed at Sensation White in the Amsterdam Arena. In 2009 he released a third compilation for Global Underground – ‘Bogota’ and in 2010 he launched a new label, DETONE, on which he has so far released the club tracks Gracelands, Decisions, Hard For Slow and Au Go Go, featuring the vocals of the lead singer from Empire Of The Sun. Meanwhile, he continues his relentless globe trotting DJ schedule and in the past year, Darren has also begun hosting DETONE club nights at East Village in London. Engineer, Steeplejack and British television personality Fred Dibnah was born on this date 29th April in 1938. As a child, Dibnah was fascinated by the steam engines which powered the many textile mills in his home town of Bolton and developed a keen interest in mechanical engineering, Steam Engines and chimneys and the men who worked on them. He began his working life as a joiner, before becoming a steeplejack. From age 22, he served for two years in the armed forces, as part of his national service. Once demobilised, he returned to steeplejacking but met with limited success until he was asked to repair Bolton’s parish church. The resulting publicity provided a welcome boost to his business, ensuring he was almost never out of work. Often regarded as one of the the greatest British filmmakers ever, the British film director and Producer, Alfred Hitchcock KBE, sadly passed away on this date 29th April in 1980. He remainss one of my favourite Directors & I always enjoy watching his films. He was born in Leytonstone, London on 13th Augst 1899 and Over a career spanning more than half a century, Hitchcock directed more than fifty feature films and developed many pioneering techniques in the suspense and psychological thriller genres during which he created a distinctive and recognisable directorial style. He pioneered the use of a camera made to move in a way that mimics a person’s gaze, forcing viewers to engage in a form of voyeurism He framed shots to maximise anxiety, fear, or empathy, and used innovative film editing. His stories frequently feature fugitives on the run from the law alongside “icy blonde” female characters. Many of Hitchcock’s films have twist endings and thrilling plots featuring depictions of violence, murder, and crime, although many of the mysteries function as decoys meant only to serve thematic elements in the film and the extremely complex psychological examinations of the characters. Hitchcock’s films also borrow many themes from psychoanalysis and feature strong sexual undertones. Through his cameo appearances in his own films, interviews, film trailers, and the television program Alfred Hitchcock Presents, he became a cultural icon. He has also left a long lasting legacy in the form of many great films including Rebecca, Notorious, Saboteur, Spellbound, Psycho, Rope, The Birds, North by Northwest, Marnie, Vertigo, Rear Window, The Man Who Knew Too Much and Frenzy. He also came first in a 2007 poll of film critics in Britain’s Daily Telegraph, which said of him: “Unquestionably the greatest filmmaker to emerge from these islands, Hitchcock did more than any director to shape modern cinema, which would be utterly different without him. His flair was for narrative, cruelly withholding crucial information (from his characters and from us) and engaging the emotions of the audience like no one else.” The magazine MovieMaker also described him as the most influential filmmaker of all time, and he is widely regarded as one of cinema’s most significant artists. I am also a big fan of the Crime Thriller novels of Prolific Scottish crime writer Ian Rankin, OBE, DL who was born on this day 28th April 1960. His best known books are the Inspector Rebus novels, although He has also written several pieces of literary criticism. 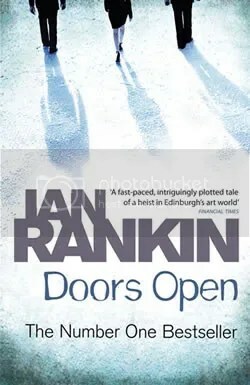 Rankin’s Inspector Rebus novels are set mainly in Edinburgh. They are considered major contributions to the Tartan Noir genre. Ten of the novels were adapted as a television series on ITV, starring John Hannah as Rebus in Series 1 & 2, with Ken Stott taking on the role for Series 3-5. In 2009, Rankin donated the short story “Fieldwork” to Oxfam’s Ox-Tales project, four collections of UK stories written by 38 authors. Rankin’s story was published in the Earth collection. Popular English novelist Sir Terry Pratchett OBE, was born on this date 28th April in 1948. He is best known for his frequently comical work in the fantasy genre In particular the popular and long-running Discworld series of comic fantasy novels. Pratchett’s first novel, The Carpet People, was published in 1971, and his first Discworld novel The Colour of Magic was published in 1983. Since then he has been very prolfc, writing on average, two books a year . After finishing the fourth Discworld novel, Mort, he decided to focus fully on hs novels and make his living through writing and published his fifth book Equal Rites soon after. Snce then He has written many other discworld Novels including Monsterous Regiment, Hogfather, Small Gods, Soul Music, Interesting Times, The Truth, The Fifth Elephant, Maurice & his Educated Rodents, Carpe Jugulum, Wyrd Sisters, Making Money, Wintersmith, Thud!, Night Watch, Unseen Academicals and I shall Wear Midnight. His latest Discworld book, Snuff has become the third-fastest-selling novel since records began in the United Kingdom selling 55,000 copies in the first three days (and I bought one of them). The novels all had distinctive cover art by Josh Kirby and Since Kirby sadly passed away in October 2001, the covers have been designed by Paul Kidby. He remains a hugely popular author to this day and many of his books have occupied top places on the best-seller list. According to the Bookseller’s Pocket Yearbook from 2005, in 2003 Pratchett’s UK sales put him in 2nd place behind J. K. Rowling and in the paperback sales list Pratchett came 5th, behind James Patterson, Alexander McCall Smith, John Grisham and J. R. R. Tolkien). His sales in the UK alone are more than 2.5 million copies a year. In 1998 Pratchett was appointed Officer of the Order of the British Empire (OBE) “for services to literature” . In addition, he was knighted in the 2009 New Year Honours. In 2001 he won the Carnegie Medal for his children’s novel The Amazing Maurice and his Educated Rodents. In December 2007, Pratchett publicly announced that he was suffering from early-onset Alzheimer’s disease and, subsequently, made a substantial public donation to the Alzheimer’s Research Trust, and filmed a programme chronicling his experiences with the disease for the BBC, but has vowed to keep writing Discworld novels for as long as he is able.His latest novels include Snuff and The Long Earth.